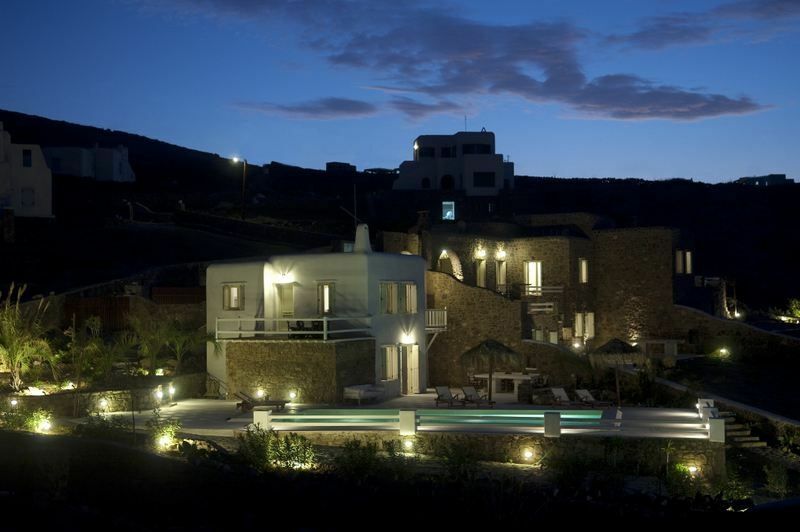 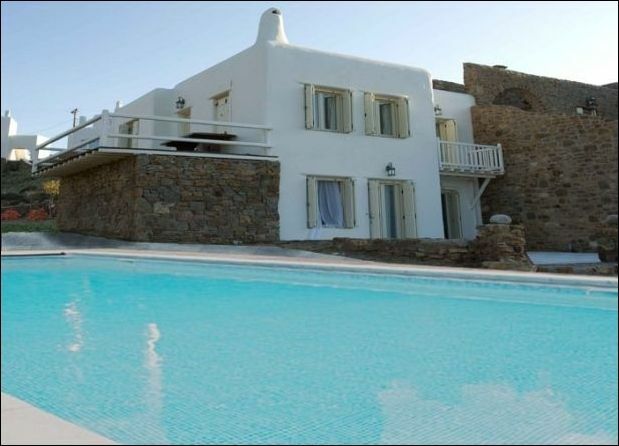 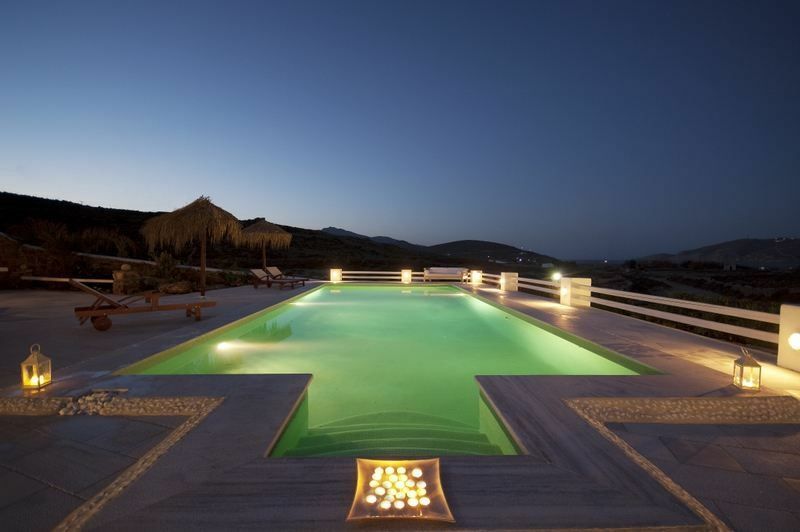 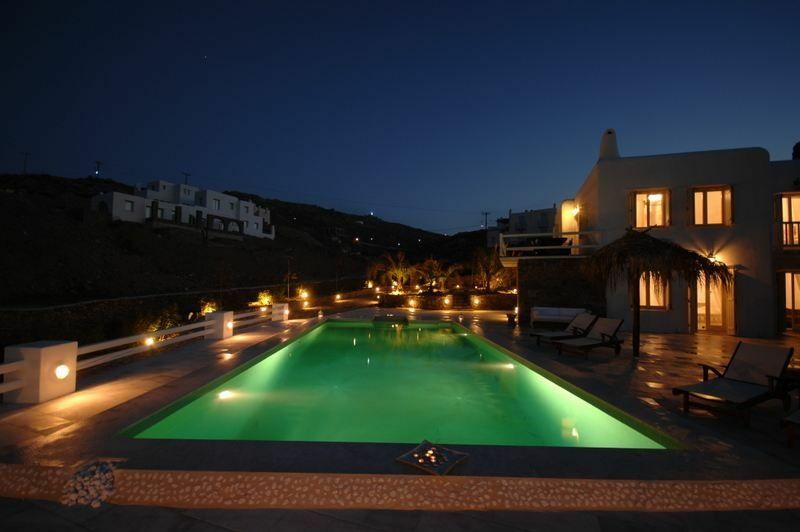 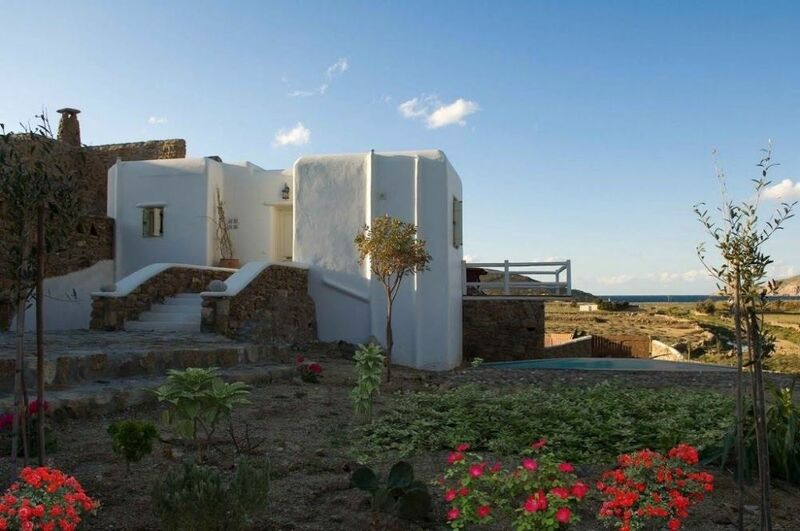 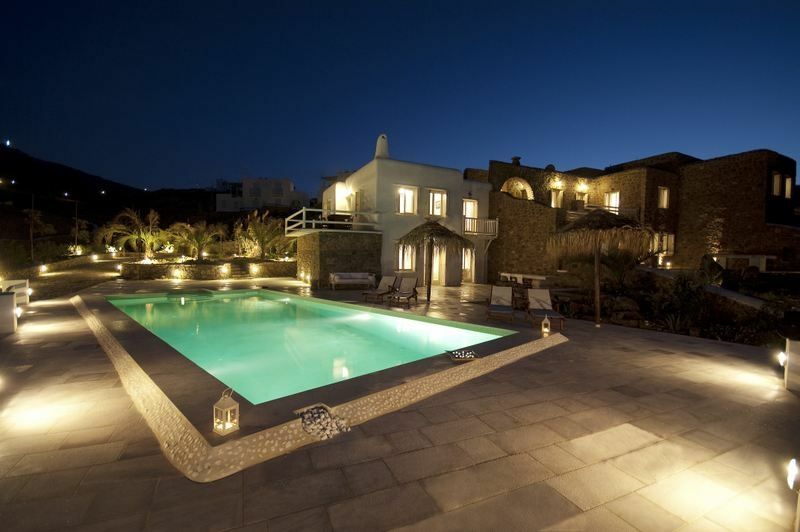 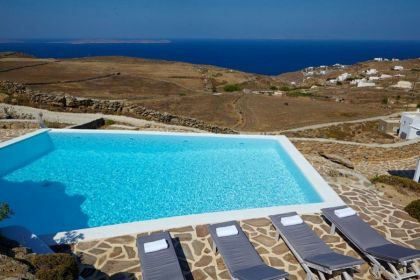 The Villa is a stunning property offering amazing panoramic sea views within a stylish and elegant setting. 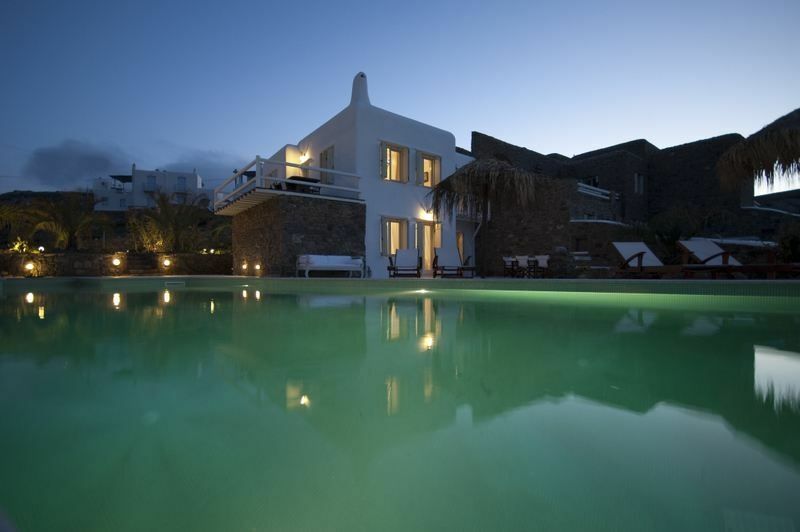 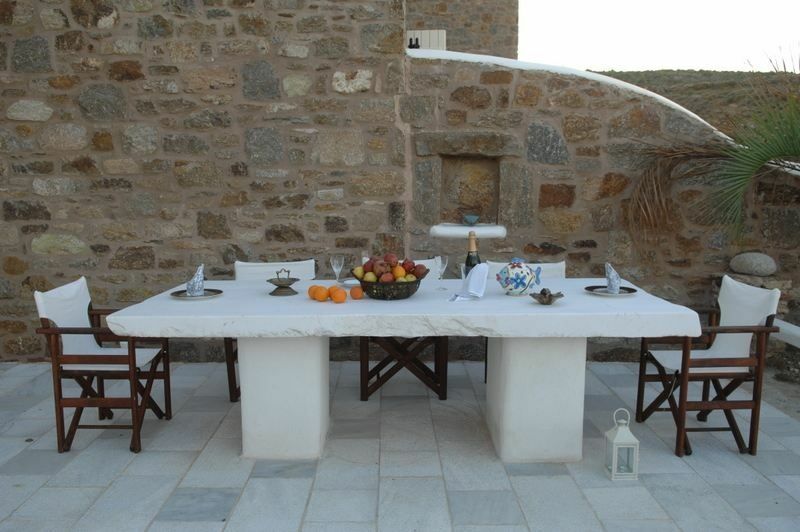 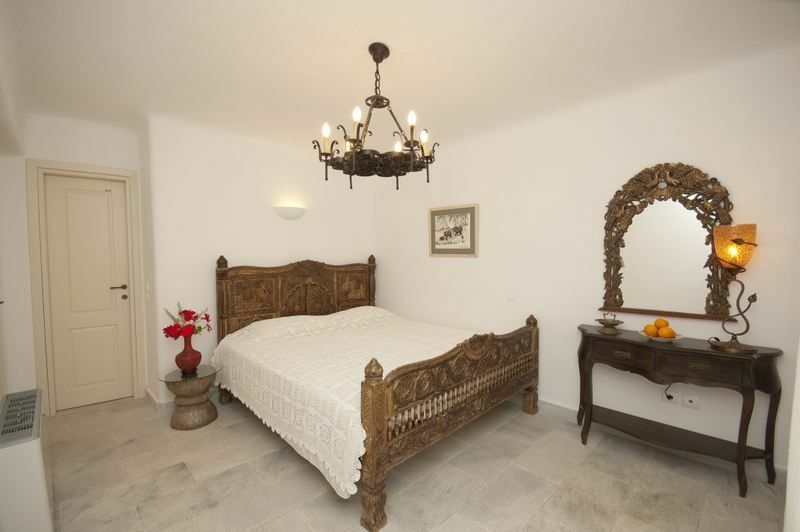 The villa consists of two sections the main house and the guest Suite. 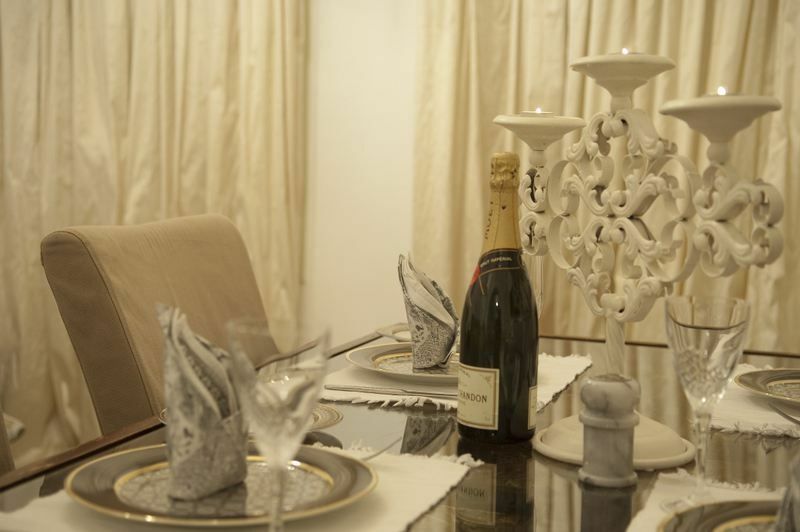 As you step inside, you find yourself into a large open plan lounge consisting of a dining room for 8 persons, a living room with a fireplace and a fully equipped kitchen. 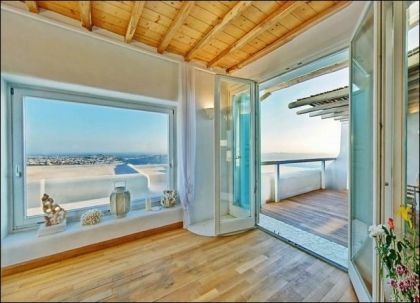 The lounge enjoys access to a gorgeous wooden floor veranda offering an outdoor dining area or a relaxing place to enjoy cold drinks and aperitifs overlooking the beach. 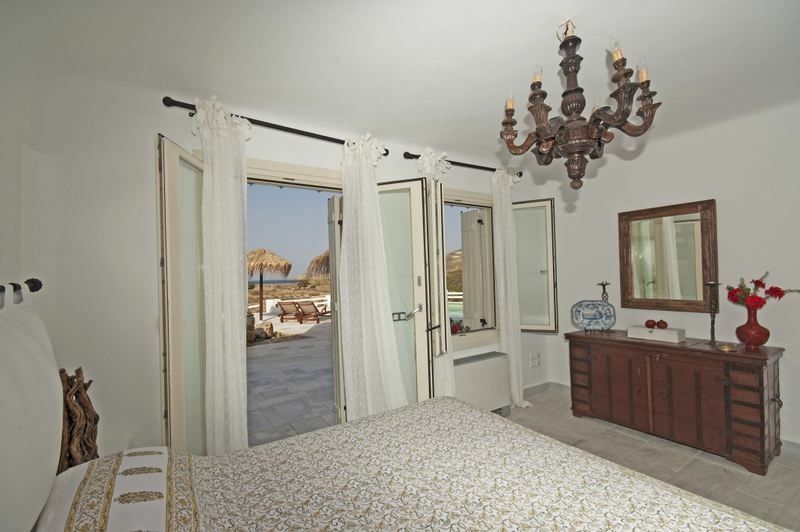 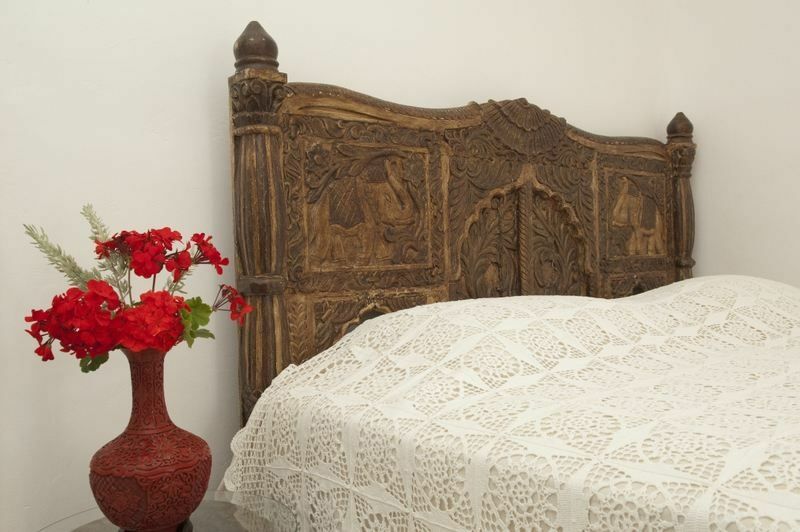 Located on the same floor, a spacious bedroom leads onto a cute balcony with romantic sea views. 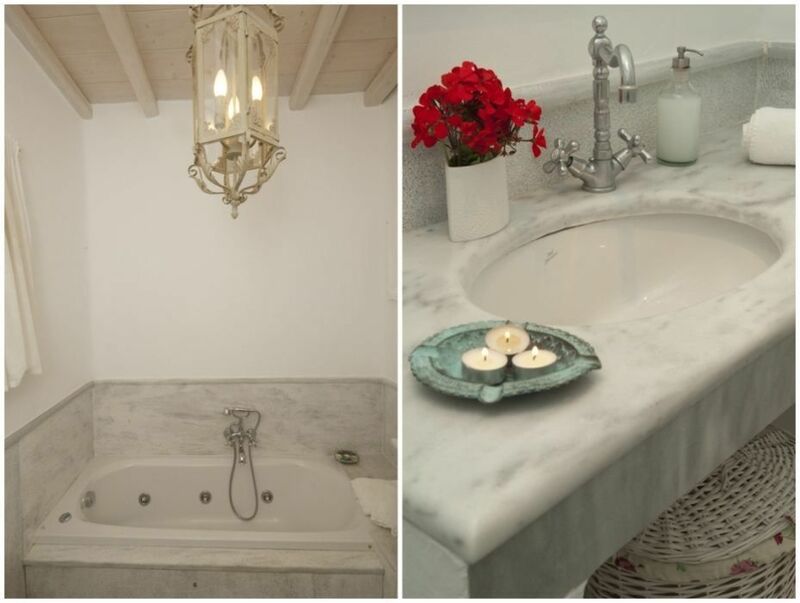 An interior staircase leads to a second bedroom on the ground floor with access to a luxurious marble terrace. 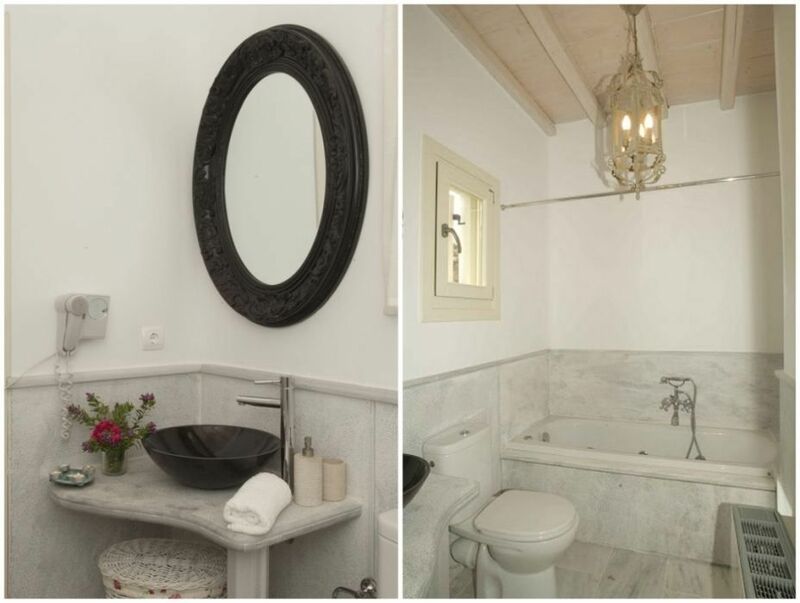 Adjoined, the guest Suite with separate entrance comprises of a triple bedroom a walk-in wardrobe and an impressive en-suite marble bathroom with hydro massage. 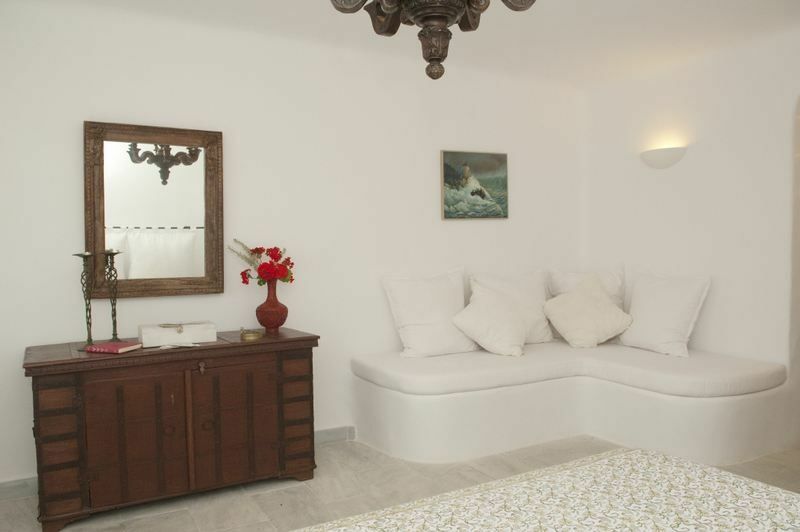 One cosy sofa bed in the lounge is suitable for accommodating up to 8 guests.